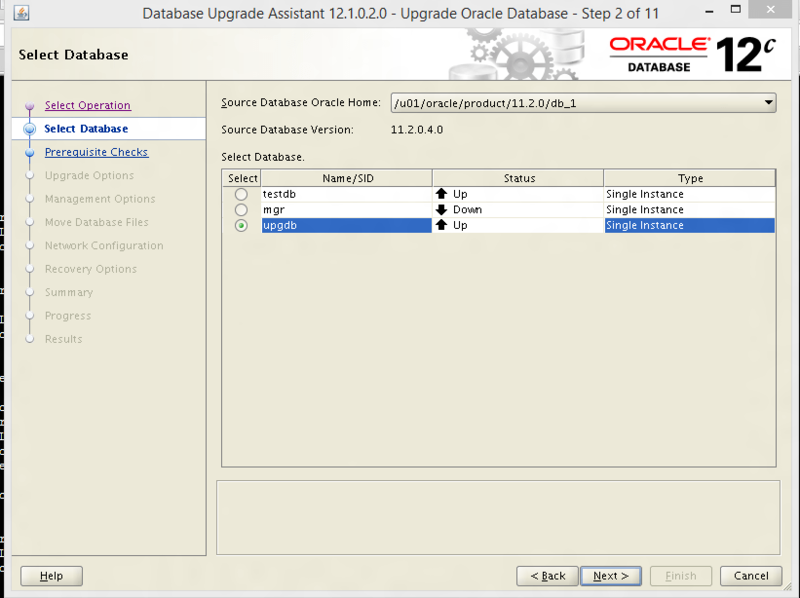 Step 1: Install 12.1.0.2 binaries on both Primary and Standby Server. 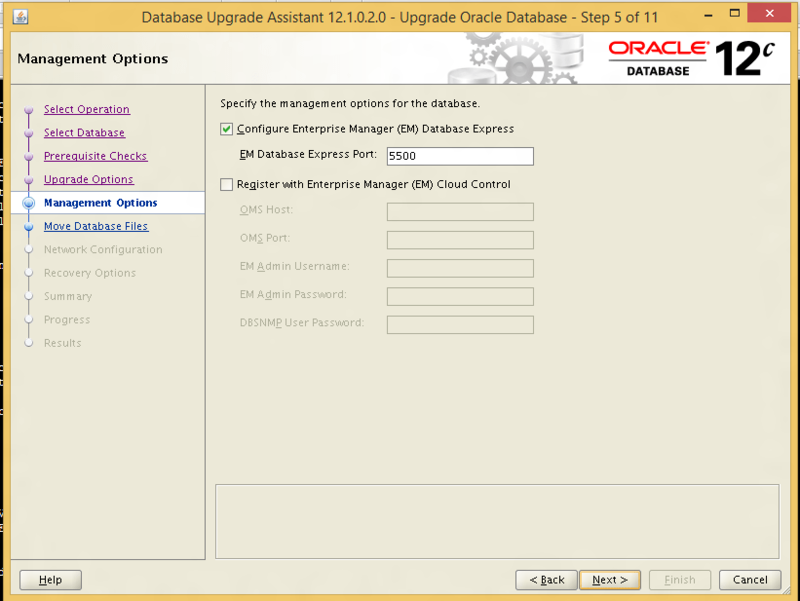 Step 2: Shut down Primary Database. Step 3: Shut down Standby Database. [oracle@localhost admin]$ export ORACLE_HOME=/u01/oracle/product/12.1.0/db_1 [oracle@localhost admin]$ export PATH=$ORACLE_HOME/bin:$PATH [oracle@localhost admin]$ export ORACLE_SID=upgdb [oracle@localhost admin]$ sqlplus / as sysdba SQL*Plus: Release 12.1.0.2.0 Production on Wed Jul 4 22:04:28 2018 Copyright (c) 1982, 2014, Oracle. All rights reserved. Connected to an idle instance. 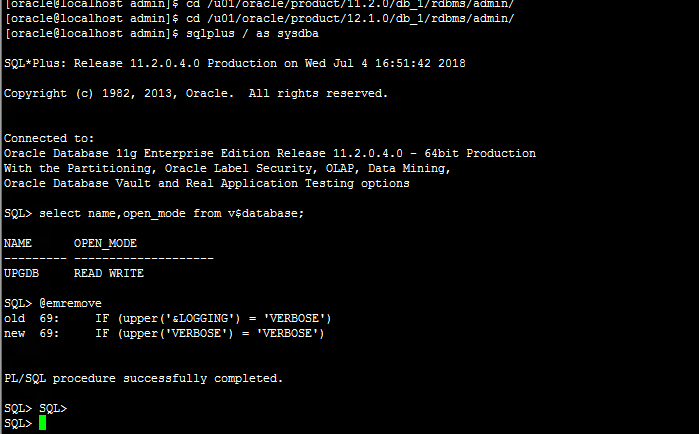 SQL> startup mount ORACLE instance started. Total System Global Area 394264576 bytes Fixed Size	2924832 bytes Variable Size	192941792 bytes Database Buffers	192937984 bytes Redo Buffers	5459968 bytes Database mounted. We can check more details by selecting a particular prerequisite and clicking on more details. 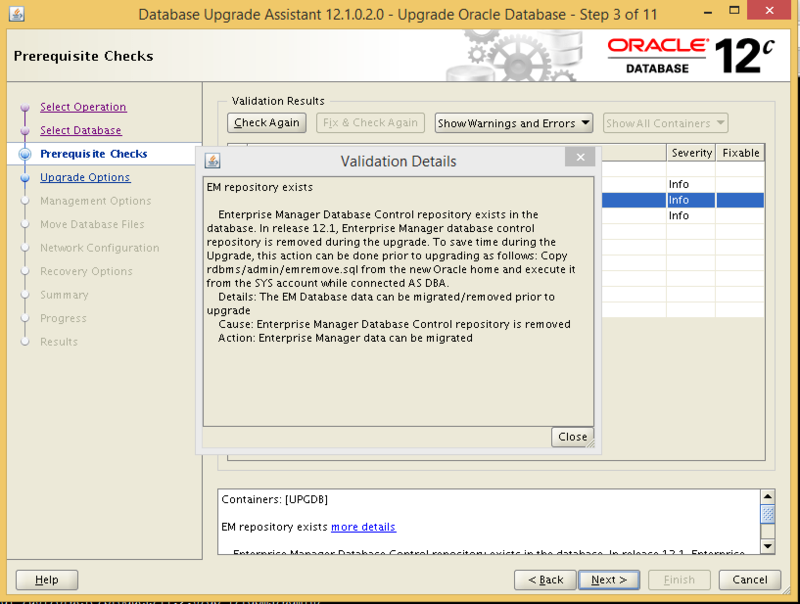 It shows we can remove em repository prior to up gradation. Run emremove file to remove em repository. After successful removal of em repository click next. select checkbox according to your requirement or keep them default and click on next. 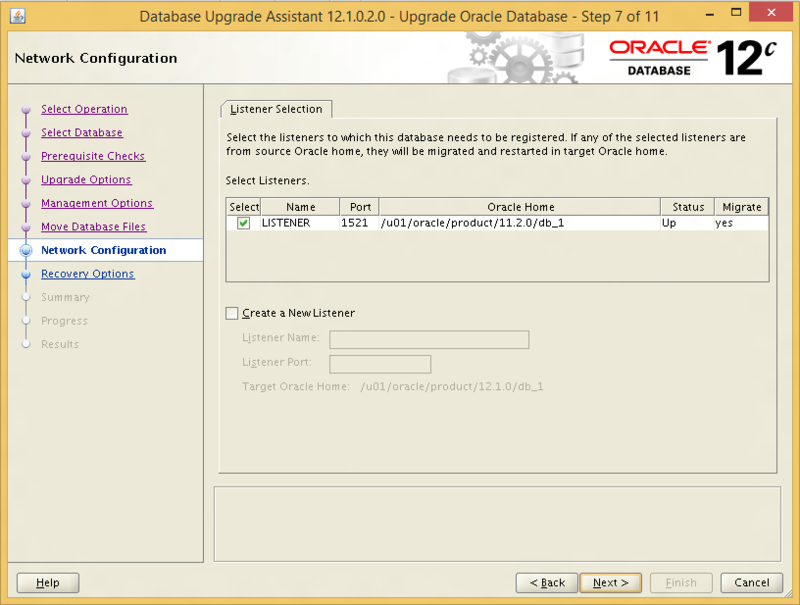 Select listeners, you want to migrate to new Oracle home and click next. 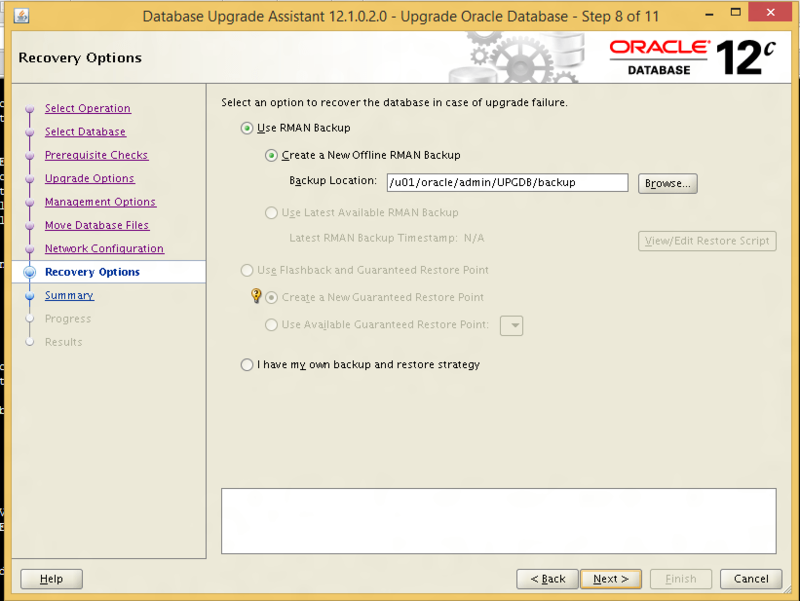 Select backup policy in case of upgrade failure and click on next. 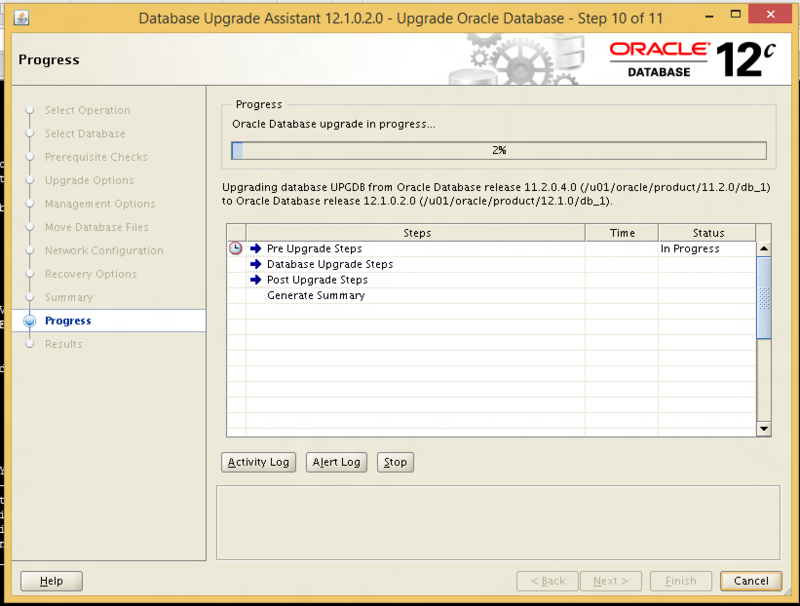 Check database upgrades summary and click on Finish Button. Check progress of upgrade . . . . .
Once an upgrade is finished you can see upgrade results. After successful completion of Primary database upgrade. 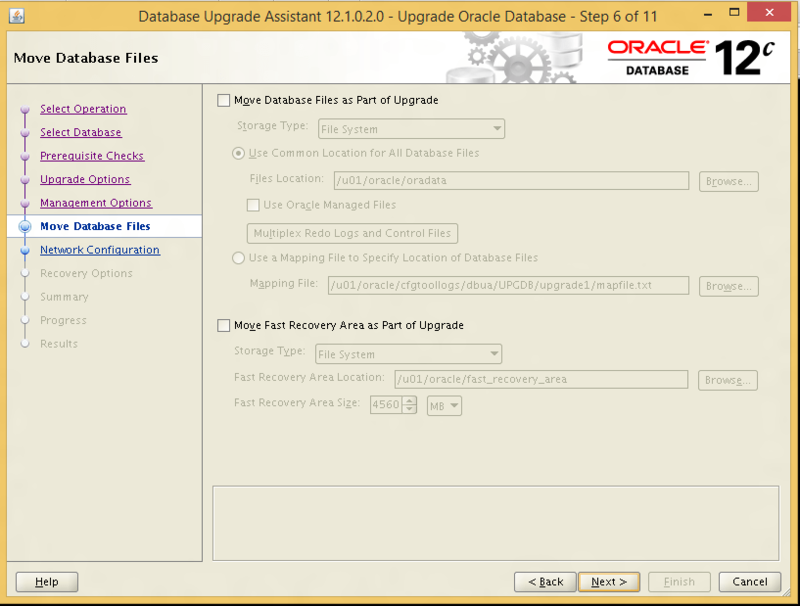 Start recovery on a standby database. 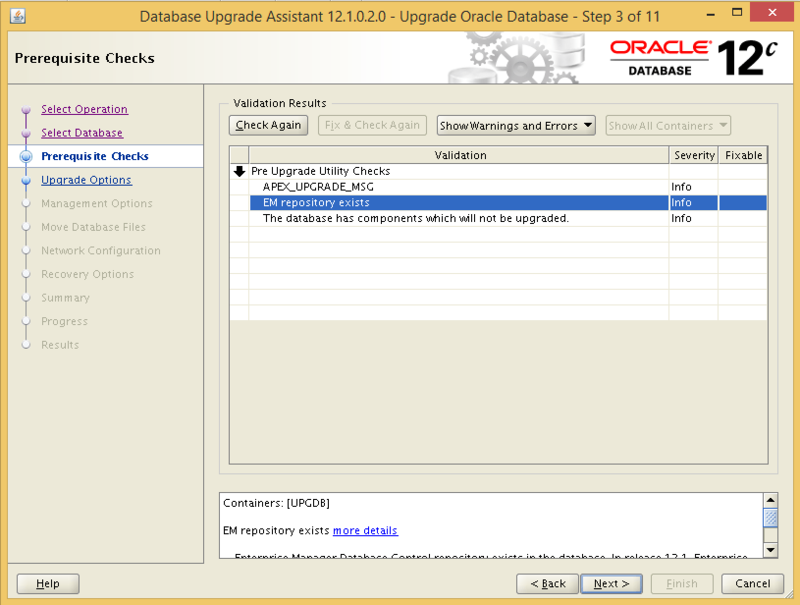 SQL> recover managed standby database disconnect; Media recovery complete. 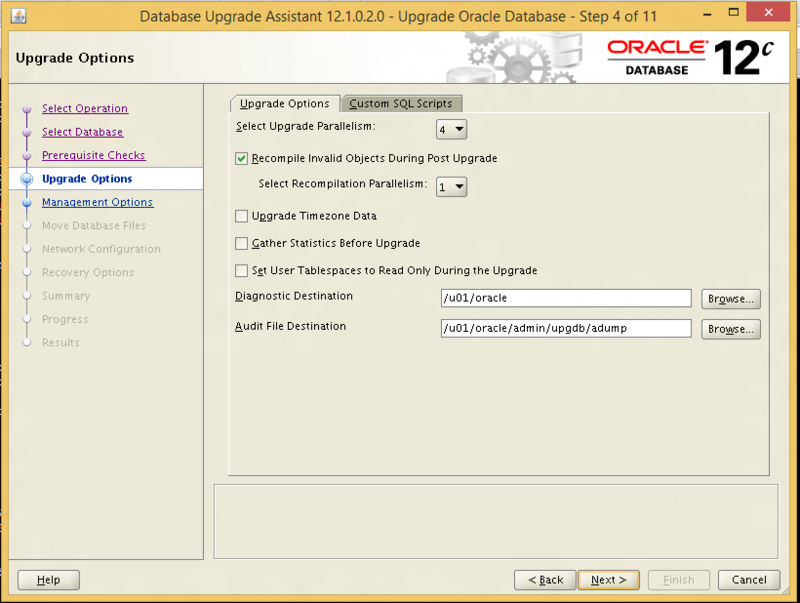 Standby database will be upgraded through redo apply. 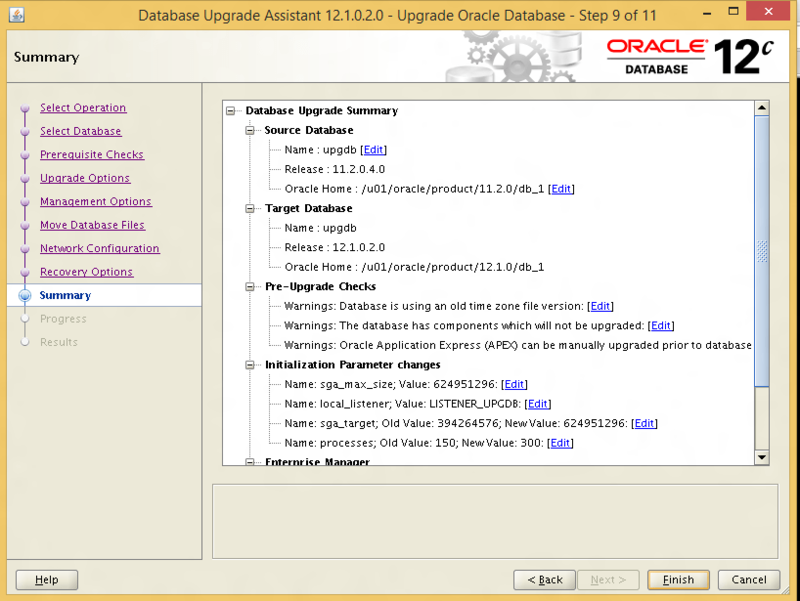 After completion of all redo apply we can open a database in open mode. Hi, thank you for your article. Note that the error ORA-00904 is not well-explained on MOS. How (when!) did you start the standby? I think that we need to copy listener/tnsnames and the spfile/pwd file there too, and startup mount after the upgrade of primary succeeded?? ?